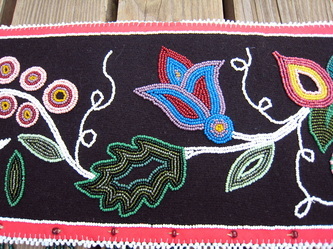 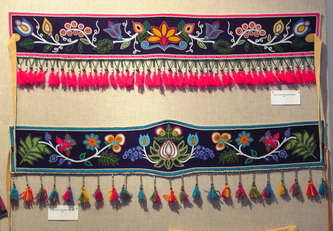 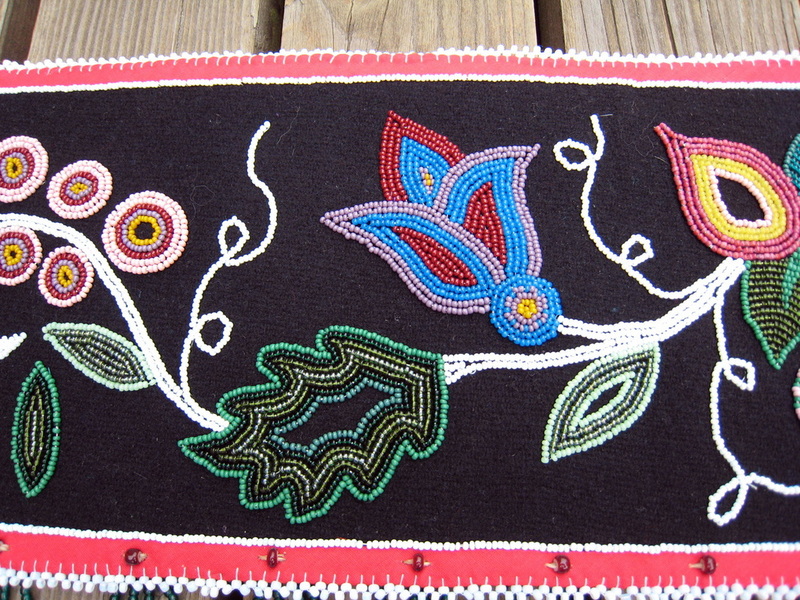 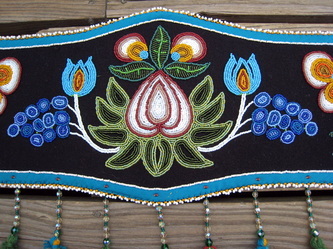 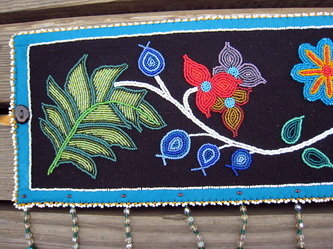 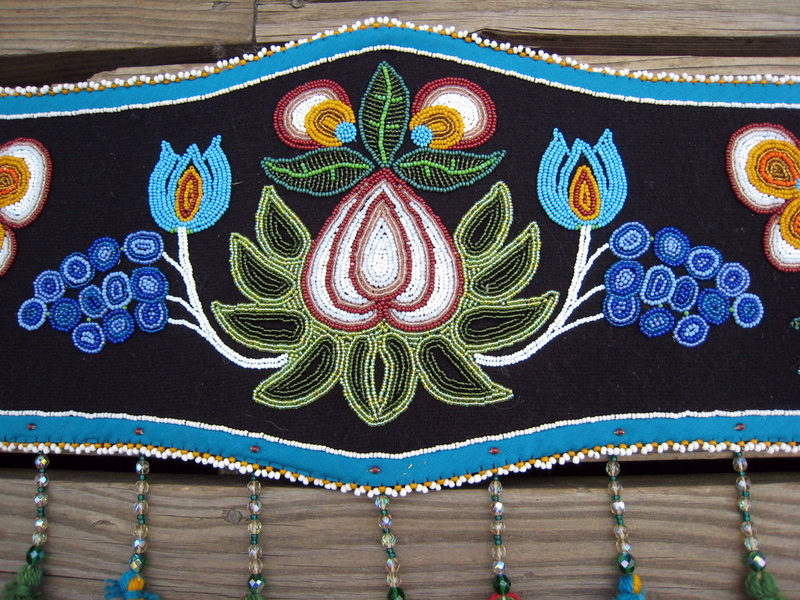 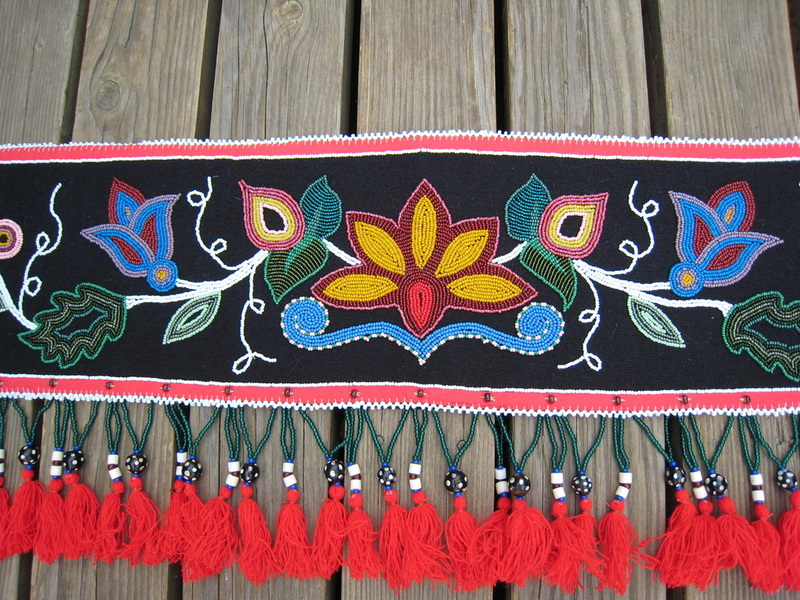 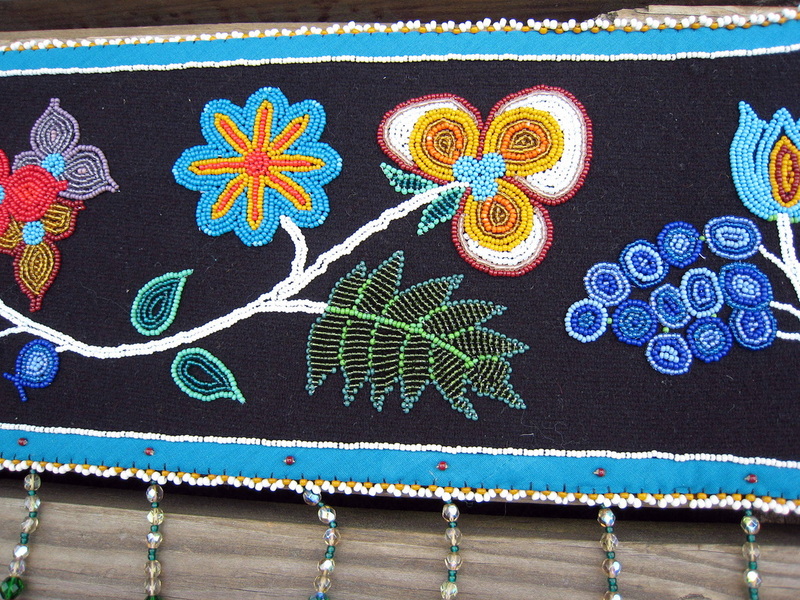 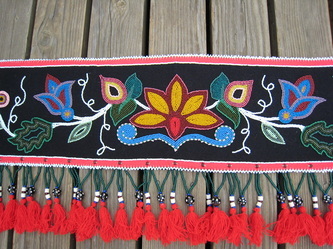 These bands were inspired by the beautiful floral bead work of the Athabaskan People, a tribe of the sub-arctic region. 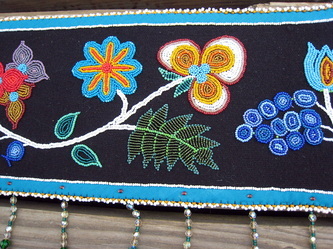 This band was used as a carrier when placed around the baby on the back and then tied across the front chest. 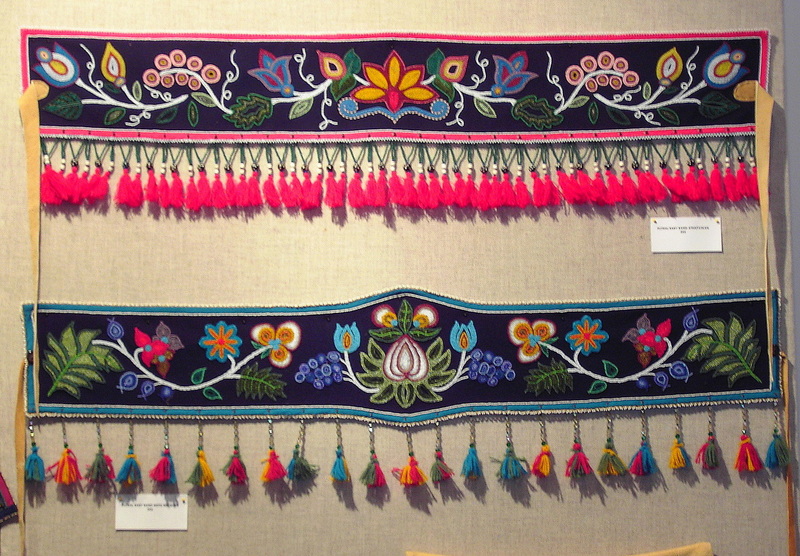 Efficient and beautiful. 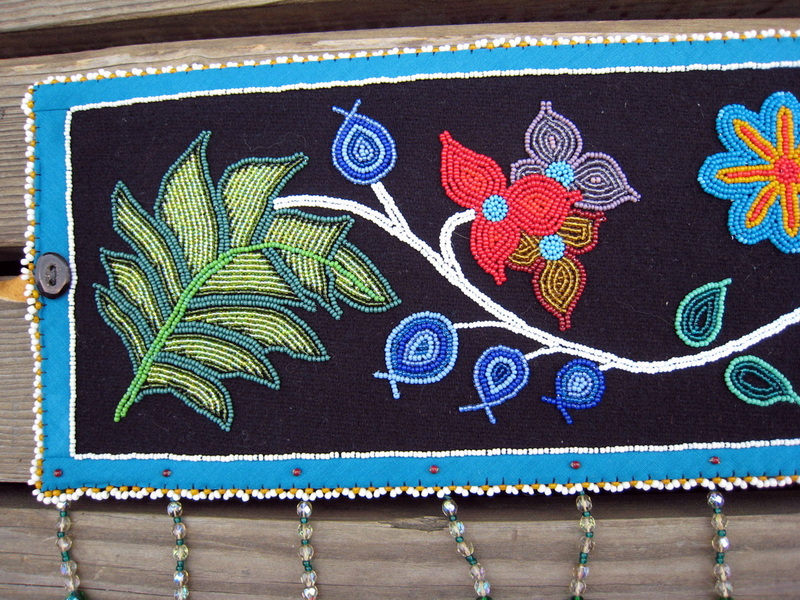 45'' l x 8'' h. Wool trade cloth, cotton edging, glass beads, deer skin, ticking cloth backing and horn buttons.